KATHMANDU, March 10: Following the Kanchanpur incident, the Indian government has stated that the the Sashastra Seema Bal (SSB) has initiated an enquiry on this matter. Issuing a press release on Friday, Indian Ministry of External Affairs has, however, did not accept that the death of a Nepali citizen was due to the firing of the SSB. 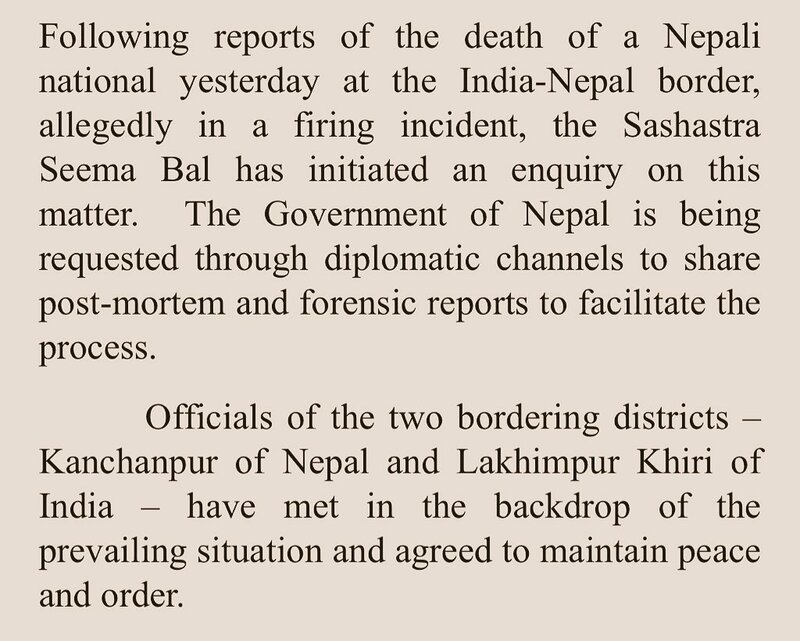 The Indian government has requested the government of Nepal to share post-mortem and forensic reports to facilitate the process through diplomatic channels. Likewise, the statement says that, the officials from two countries have agreed to maintain peace and order across border of both countries. 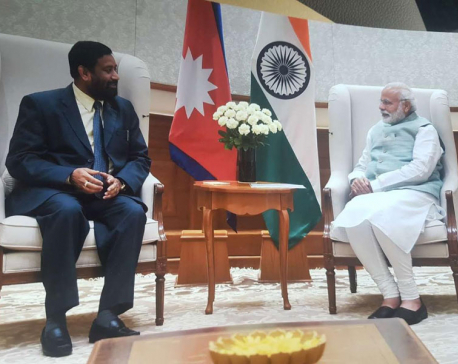 “Officials of the two bordering districts – Kanchanpur of Nepal and Lakhimpur Khiri of India – have met in the backdrop of the prevailing situation and agreed to maintain peace and order,” reads the statement.